Brian Bringelson’s Needle Meets Vinyl carries on tonight at 8 pm ET (5 pm PT) with another show that brings the well-known together with the should-be-better-known tracks that are part of the musical tapestry of our lives. Plus, it’s all played from vinyl. Don’t miss the vinyl lover’s dream radio hour–Brian Bringelson’s Needle Meets Vinyl comes into your life tonight at 8 pm ET (5 pm PT) right here on Pure Pop Radio. John, Paul, George, Ringo, David, Patti, Charlie and Harry: Tonight’s Needle Meets Vinyl Has It All! Your lucky number for tonight is 18: That’s how many top-flight, straight-from-vinyl nuggets Brian Bringelson is bringing you on an all-new edition of Needle Meets Vinyl. The fun begins at 8pm ET (5 pm PT) on Pure Pop Radio. Brian continues to bring the vinyl love with tracks from Stevie Wonder, Patti Smith, David Bowie, Paul McCartney and Wings, Etta Jones, Charlie Rich, Big Star and lots more. 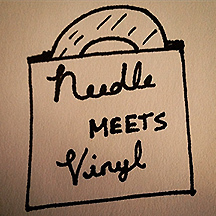 Don’t miss tonight’s all-new Needle Meets Vinyl. Tune into Pure Pop Radio at 8 pm ET (5 pm PT) and dig the tunes. Anchor and Bear’s Brian Bringelson is back tonight at 8 pm ET (5 pm PT) with another, brand-new edition of his Needle Meets Vinyl program. On the docket tonight are 19 songs chock full of melody and those ever important hooks. From the Move, the Hollies and, naturally, the Beatles to Del Shannon, Brian’s band Anchor and Bear (singing “Waiting for the Dogs to Bark” from their album, Ahoy!) and, indeed, Spike Jones, Needle Meets Vinyl, show 22, hits the spot and then some. And remember: all songs played are taken from vinyl. It’s vinyl only, baby! Tune into Pure Pop Radio tonight at 8 pm ET (5 pm PT) for the latest edition of Needle Meets Vinyl. Brian Bringelson spins the tunes and you dig ’em! Last night’s premiere episode of Brian Bringelson’s Needle Meets Vinyl hit the pop and rock spots with a great mix of classic and lesser-known songs from a variety of fabulous artists. Oasis | “Hey Now” from (What’s the Story) Morning Glory? Brian returns next Wednesday, October 28, with a special program devoted to the scariest holiday in existence…Halloween! Don’t miss it! The ghostly fun begins at 8 pm ET (5 pm PT) right here on Pure Pop Radio. Needle Meets Vinyl is the weekly show during which all songs are played from vinyl records. The music spans the decades during which popular music has flourished. Curated and presented by Brian Bringelson, a member of the band Anchor and Bear and a solo artist under the name Paul Starling, the show airs every Wednesday night at 8 pm ET (5 pm PT). An encore performance runs on Sunday afternoons at 1 pm ET (10 am PT). Needle Meets Vinyl has its own Facebook page; click here to be magically transported, and please hit the “like” button. Thanks! Listen to Brian invite you to listen! It’s finally here! Brian Bringelson’s terrific, all-vinyl radio show, Needle Meets Vinyl, premieres tonight at 8 pm ET (5 pm PT) on Pure Pop Radio. We couldn’t be more excited to debut this outstanding program, chock full of classic tracks, both familiar and un-. Now, we know you have many specialty shows and radio stations and other media folks calling for your attention, so we appreciate you tuning in tonight. Your ears will be rewarded with great songs from the Kinks, the Beatles, Bob Dylan, Harry Nilsson, Billy Preston, Barbara Lynn, Bonnie Raitt, Fleetwood Mac and Buffalo Springfield. And then there’s Brian’s easygoing, knowledgeable deejay patter, which will captivate you and put a big smile on your face. Take our word for it: This is a great show that fits perfectly within the Pure Pop Radio universe. But if you need more convincing, listen to none other than Gary Gebler, owner of Baltimore, Maryland’s premiere vinyl shop, Trax on Wax, who has become an instant fan of Needle Meets Vinyl. 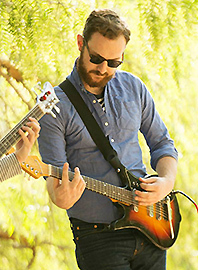 Brian is a member of the glorious pop band, Anchor and Bear, and releases solo records under the name Paul Starling (his latest, The Wild Wolf, is currently playing in rotation on Pure Pop Radio). Brian has a golden ear that’s tuned into the great and melodic music of today and yesterday. And don’t forget that, for vinyl aficionados everywhere, this is the place to be every Wednesday night because every song heard on Needle Meets Vinyl is played from records. Sweet! 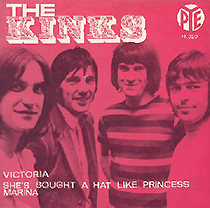 Needle Meets Vinyl makes its Pure Pop Radio debut tonight at 8 pm ET with a typically engaging and tuneful show that runs the gamut from straight-ahead pop (The Kinks’ “Victoria”) to classic, melodic rock (the James Gang’s “Funk #49”) and the classic standard show numbers of yesteryear (Harry Nilsson’s sublime rendition of Stephen Sondheim’s “Marry Me a Little,” from Sondheim’s homonymous Off-Broadway revue). In between, Brian spins tunes from the likes of Bob Dylan, the James Gang, Barbara Lynn, Joan Baez and, of course, the Beach Boys and the Beatles, and relates cool facts and figures about them. Each Wednesday night, Brian will bring you a new, wonderfully-realized and impeccably curated show that brings together the sounds of the run of decades in which popular music has flourished. We are proud to be adding Needle Meets Vinyl to Pure Pop Radio’s slate of specialty shows. We think you’re going to enjoy yourself each and every Wednesday night. Set your alarm clocks for tonight, Wednesday, October 21, at 8 pm ET (5 pm PT). Don’t miss the premiere of Brian Bringelson’s Needle Meets Vinyl, right here on Pure Pop Radio! W e are delighted to be bringing you musician Brian Bringelson’s wonderful show, Needle Meets Vinyl, starting this Wednesday, October 21, at 8 pm ET (5 pm PT), exclusively on Pure Pop Radio. None other than Gary Gebler, owner of Baltimore, Maryland’s premiere vinyl shop, Trax on Wax, has become an instant fan of Needle Meets Vinyl. A member of the glorious pop band, Anchor and Bear, who releases solo records under the name Paul Starling (his latest, The Wild Wolf, is currently playing in rotation on Pure Pop Radio), Brian Bringelson has a golden ear that’s tuned into the great and melodic music of today and yesterday. He’s also got an inviting, easygoing deejay style, which we know you’re going to fall in love with. And, for vinyl aficionados everywhere, this is going to be your weekly meeting place: Every song heard on Needle Meets Vinyl is played from records. Nice, right? Needle Meets Vinyl makes its Pure Pop Radio debut this Wednesday night with a typically engaging and tuneful show that runs the gamut from straight-ahead pop (The Kinks’ “Victoria”) to classic, melodic rock (the James Gang’s “Funk #49”) and the classic standard show numbers of yesteryear (Harry Nilsson’s sublime rendition of Stephen Sondheim’s “Marry Me a Little,” from Sondheim’s homonymous Off-Broadway revue). In between, Brian spins tunes from the likes of Bob Dylan, the James Gang, Barbara Lynn, Joan Baez and, of course, the Beach Boys and the Beatles, and relates cool facts and figures about them. Set your alarm clocks for this Wednesday, October 21, at 8 pm ET (5 pm PT). Don’t miss the premiere of Brian Bringelson’s Needle Meets Vinyl.